This VR experience makes you feel like you’re right there in the arena. You can see her perform the two songs from multiple angles; watch her singing enthusiastically right in front of you, or from further away, giving yourself a wider view of the whole venue. In order to make the experience feel more real, three different cameras and shooting styles were used for recording both “Simple and Clean” and “Don’t Think Twice.” First, they shot with a 4K stereo/3D crane camera while approaching and backing away from the front. 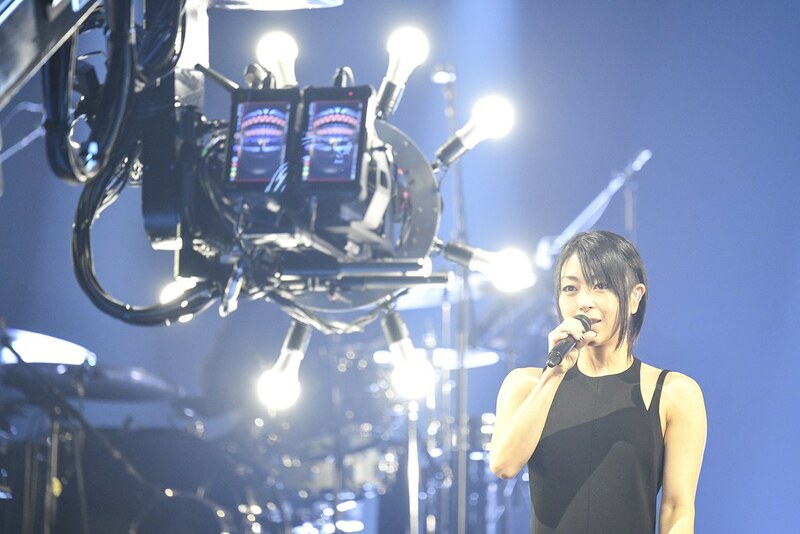 Then the same crane camera was used to film all around the left and right of Hikaru Utada. Finally, 6K · 180 degree cameras were used to shoot from far away, medium distance, and zoomed in at the same time. 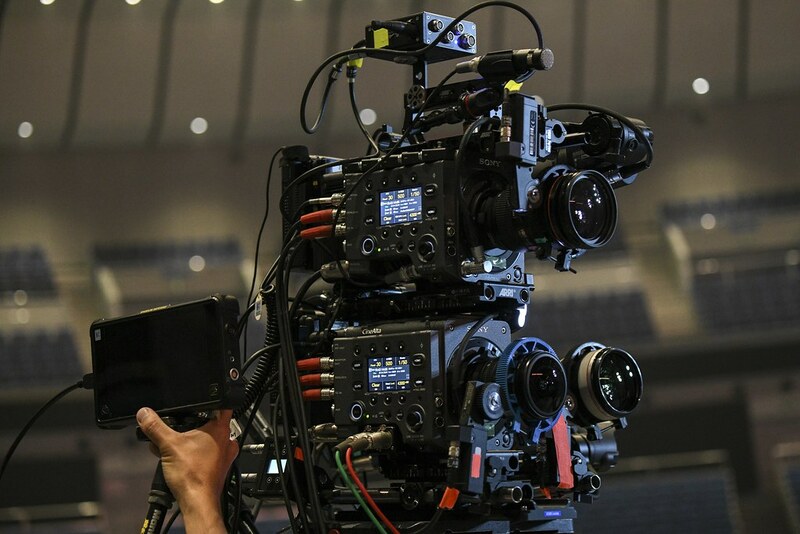 Every scene was shot with the latest equipment from Sony PCL. These three shots were filmed separately and edited into one VR video later. Direction was handled by Robot Communications, a company that is famous for producing movies, TV commercials, music videos, and VR images. The director is Wataru Takeishi, who has been filming music videos and tours since Hikaru Utada was 16 years old. 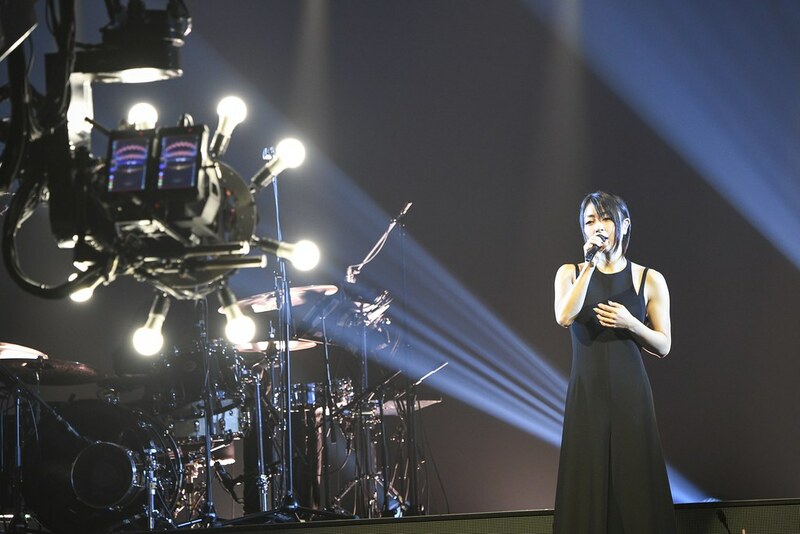 After a final adjustment of equipment and one last sound and lighting check with the band members and string players, Hikaru Utada finally took the stage in a long black dress. They filmed “Simple And Clean” first. In “Simple And Clean,” there is one part where Hikaru Utada moves down the stairs to approach the front of the stage, and moves downwards and turns around. Before recording, the team confirmed that scene first and carefully checked the timing for her to start walking. After the timing and the speed of walking were decided, they were finally ready to go. 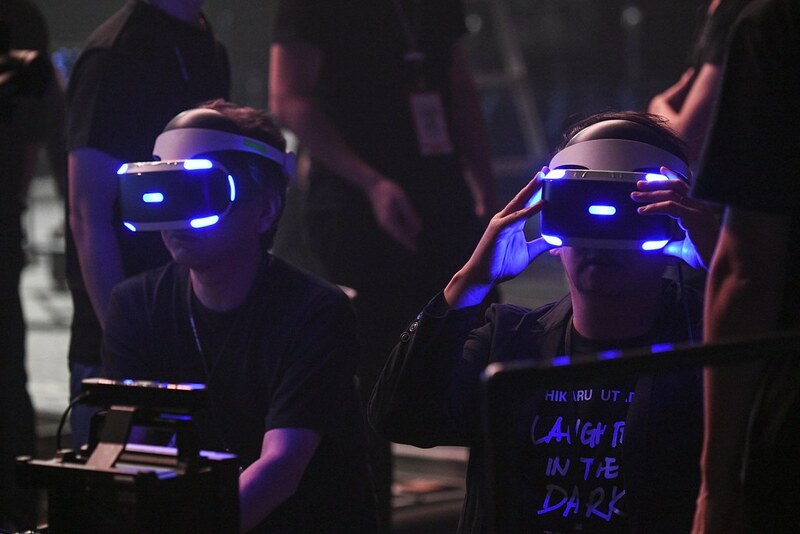 As filming began, the director donned the PlayStation VR headset underneath the stage. He checked how the image looked in PS VR in the same environment the user would experience. Almost 20 staff members concentrated on Hikaru Utada’s performance at once. They controlled crane cameras, checked the images with a VR headset, and watched the monitor. However, things stopped as soon as they began. 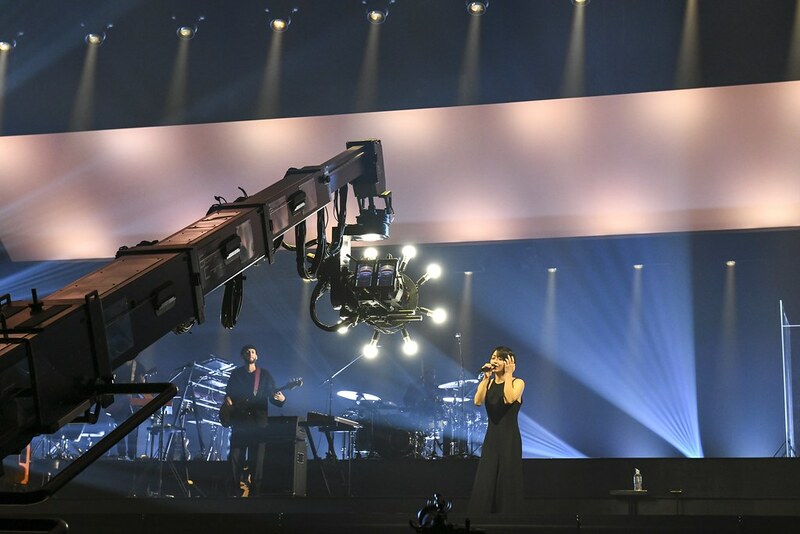 There was some discussion regarding when Hikaru Utada should sing the song’s chorus while looking at the camera, but the shooting would progress smoothly as long as they could decide when she should start walking. Filming with the first camera finished successfully in one take! The director attributes this to her wonderful facial expressions. The shooting went well until the last scene, which was filmed with the high resolution 180 degree camera. 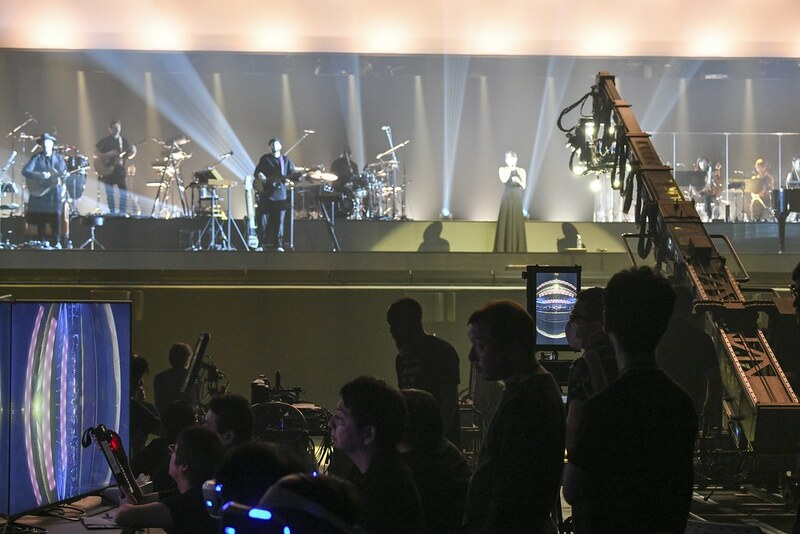 They filmed “Don’t Think Twice” next, after Hikaru Utada changed into a black-and-white dress. “Simple And Clean” was shot on the main stage, but this song would be filmed on the island stage in the center of the arena. 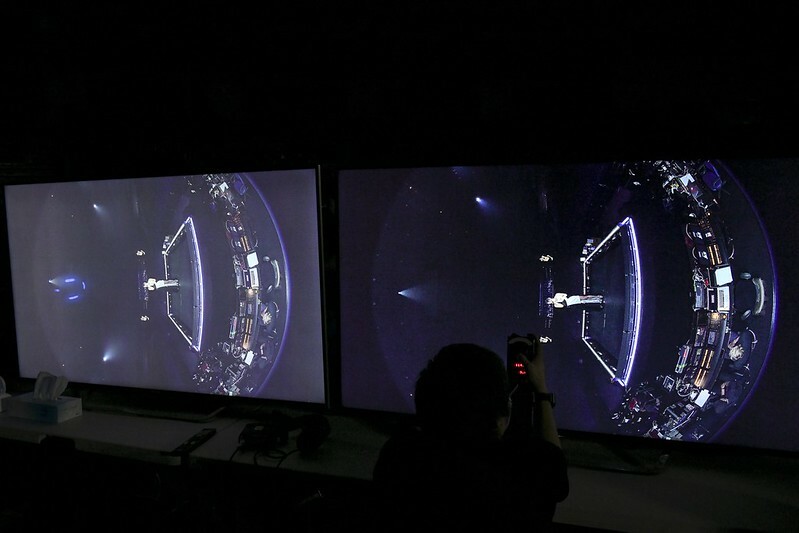 This song was also recorded from three angles with different cameras. The director advised her that it would look better if she adjusted her movements and the angle of her face. Since the score division of the song is very unique, her rhythmic gestures would look nice in VR. This VR shoot adopted a one-cut method: when the song started, the camera would just keep moving around without cutting until the end. In other words, if something went wrong, the entire thing would need to be filmed from scratch instead of re-shooting from the middle. Nevertheless, Hikaru Utada’s concentration was rock-solid. She looked forward with overflowing emotion, her face dipping into shadow when she dropped her eyes. Even the filming crew had to take a breath to steady themselves from the shiver this performance evoked in them. The final shot continued using the different cameras and was also finished in one take. 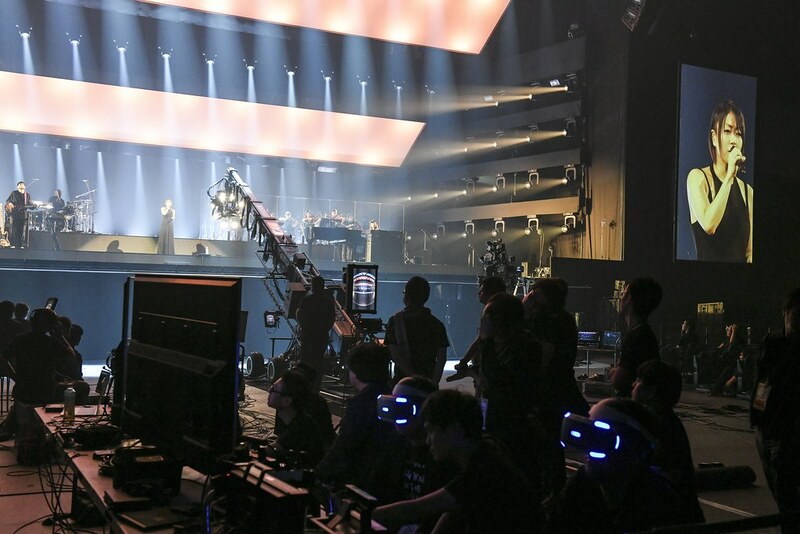 The filming of both songs for VR wrapped after about two hours. After shooting, we interviewed Director Takeishi and Chief Producer Yoshimasa Takahashi, who both work at Robot. Please tell us about the shooting concept of these VR videos. Takeishi: The concept was to reproduce “Laughter in the Dark Tour 2018” perfectly. For that reason, we made sure everything — including the stages, lighting, direction, and costumes — was exactly the same as the live performances. Takahashi: The biggest draw is allowing you to watch Hikaru Utada’s concert from the comfort of your own home, in a super special seat. Can you tell us about the role of each camera and the techniques you used during filming? Takahashi: The first camera was the one approaching and backing away from the subject. As the camera slowly approaches, you enter the world of the stage. This is meant to evoke a sense of immersion. 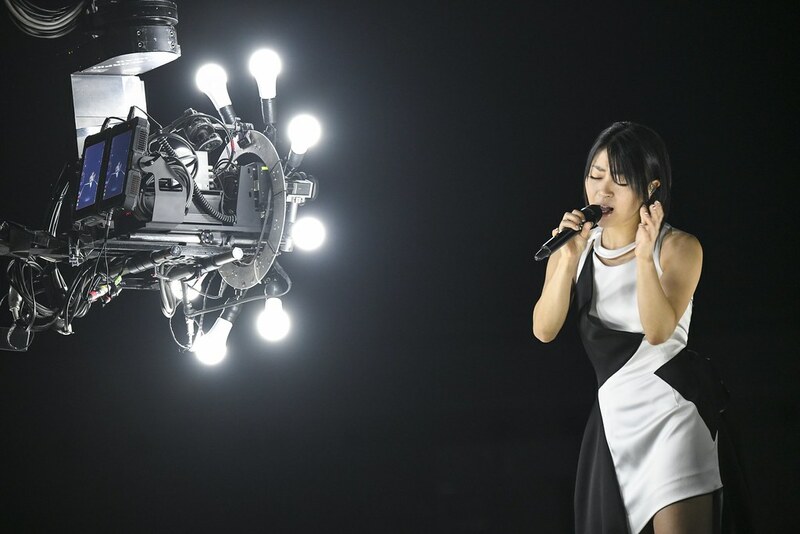 The second camera was for shooting Hikaru Utada three-dimensionally, by wrapping around her left and right. The last one was for shooting the subject from a far distance, a middle distance, and zoomed in at the same time. The director’s version is the one that takes the best cuts from the first and the second camera and splices them together. Additionally, users can view the film however they wish by changing the camera angle. During shooting, Director Takeishi checked the videos while wearing a VR headset, right? Takeishi: Yes, I was checking what the users would see. The videos you watch with the PS VR headset have a different impact after all — the user feels like Hikaru Utada is singing just for them. Please tell us about any distinctive challenges of this project. Takahashi: The biggest challenge was moving the camera. That’s because it is considered taboo to move the camera for shooting a live-action VR image; the theory is basically to keep the camera stationary and have the performer move. However, we experimented with moving the camera this time. We discussed with Director Takeishi about how it wouldn’t be that interesting to shoot her performance as a 360-degree video. We decided to test a lot of things because we wanted users to watch unique, special VR videos. As a result, we thought that moving the camera while also having Hikaru Utada herself move or look at us would be innovative and challenging. Therefore, after cooperating with SIE on several tests, we thought it might work, so we decided to try something new. Additionally, we implemented 3D stereoscopic viewing with a binocular camera. This was another unique challenge. What kind of effect is produced by moving the camera? 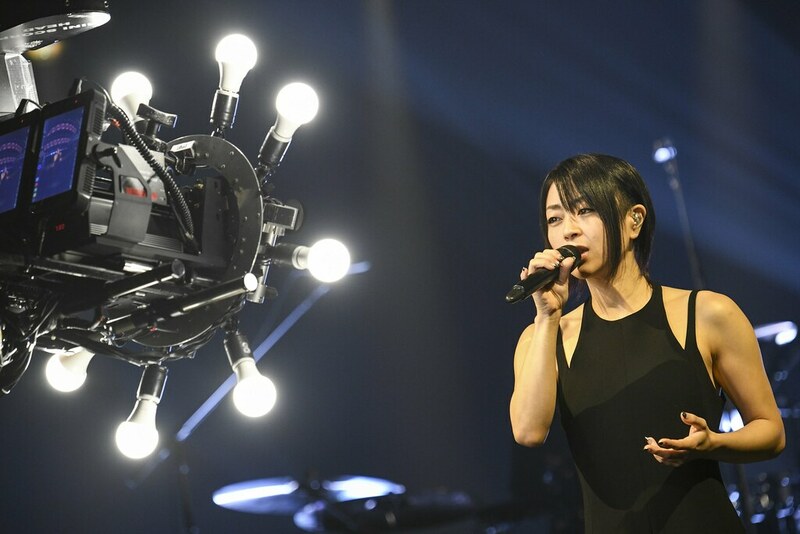 Takeishi: We aimed for an effect that draws the audience into the video while watching Hiakru Utada’s performance, and have her get close to them without them realizing. However, if the camera moves fast, it can be uncomfortable for the user. We aimed for the fine line where users can only just see Hikaru Utada getting nearer, without causing any discomfort. Takahashi: In past VR videos, the users themselves had to move to see what was happening on the whole stage. However, this time we are moving the camera, so if they just watch Hikaru Utada then all the stage sets come into view. They can enjoy Hikaru Utada’s performance as well as the concert’s production value. Speaking of VR images, it is common to have a 360 degree view. However, this content is not like that. Takeishi: You may think that VR video equals 360-degree video, but I do not think it is necessarily the case. It is less than 180° that you can see in this video, and if you look behind you, you only see black. But when people watch a concert, they don’t usually look behind themselves. We challenged ourselves to make realistic images in the viewable range rather than making a 360-degree video. Takahashi: Also, most people use PS VR at home sitting down. Looking back becomes a chore for the user. Rather than have them turn around, I thought that it would be more pleasing for fans if we focused on Hikaru Utada approaching or gave them a stereoscopic view. What do you think is unique to VR videos? Takeishi: Hikaru Utada is amazing; the feeling she puts into her songs, her facial expressions when she sings, and her gestures. In virtual reality you can really see the great care singers put into their work and these subtleties of emotion up close. VR users can experience much more than they would be able to just watching a concert or a music video, since they can see exactly what sort of expression the artist uses when singing certain lyrics. Takahashi: You can see things that you cannot see normally, such as where the artist is looking or what gestures she is making. That’s the charm of VR. Takeishi: I have been filming Hikaru Utada for a long time, but I was struck by her talent all over again during this VR shoot. I think that it would be interesting if VR video becomes the standard for artists — I felt great potential for that during this shoot.